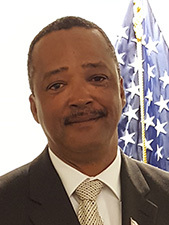 Allen Riley was designated Chairman effective April 1, 2018. He joined the Commission in June 2017, after serving as Madison County Sheriff for more than seven years. As sheriff, he headed an agency with more than 160 employees among five divisions: Corrections, Criminal, Narcotics, Civil and Pistol Permit. He also oversaw the Madison County Child Advocacy Center, which investigates child physical and sexual abuse cases, and served as a member of Governor Cuomo’s Commission on Youth, Public Safety and Justice. Prior to being elected sheriff, Mr. Riley was a 27-year veteran of the New York State Police, serving in Troop D as an investigator handling homicide and other serious cases and as a uniform trooper. He was a narcotics detection and explosives detection K-9 handler and field training officer, among other duties. Mr. Riley served on the board of directors of the New York State Sheriffs’ Institute; the New York State Association for Incarcerated Education Programs, and the Madison County Office of the Aging Advisory Council, among other positions. He was twice named the American Legion Law Enforcement Office of the Year in Madison County. He attended Morrisville State College (SUNY), and was the college’s commencement speaker in 2014. Mr. Riley is married and has two daughters. 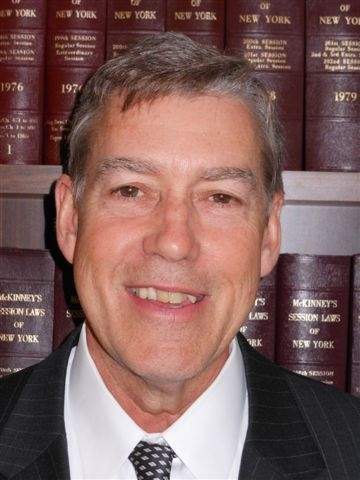 Thomas J. Loughren was appointed to the Commission by Governor Andrew M. Cuomo in June 2013. Prior to serving as a Commissioner, he had a 40-year career in law enforcement, serving as a police officer, criminal investigator and the Chenango County Sheriff from 1992 to 2009. Mr. Loughren was instrumental in promoting coordination and cooperation among law enforcement agencies, fire departments and emergency medical services and was a pioneer in modernization of law enforcement and emergency services communication systems. As sheriff, he directed all law enforcement activities of patrol, K-9, snowmobile and marine navigation, investigations, SWAT and public relations programs, as well as correction officers, school programs, mental health, medical, inmate work programs, commercial kitchen, and meals on wheels for seniors programs. His department was awarded New York State Accreditation in all of its four divisions. He was a member of the original New York State Counter Terrorism Committee from 2002 to 2009 and is a past president of the New York State Sheriffs’ Association. He has a bachelor’s degree from McNeese State University in Lake Charles, La.